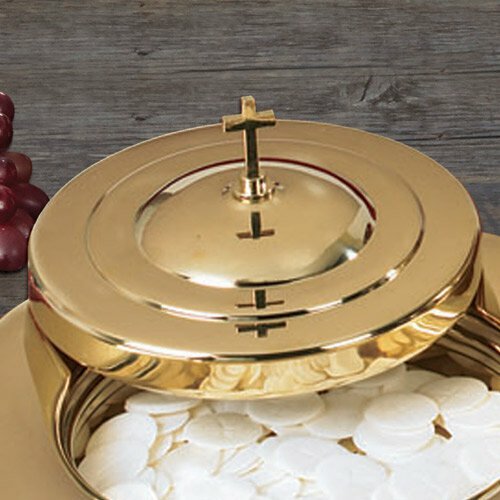 Featuring a lustrous finish and classic design, this stainless steel communion ware from Sudbury Brass™ will make your church altar sparkle. For use with matching stacking bread plate (#PD381). Also available in Silver Finish (#PD377).